Look at the head on that driver! 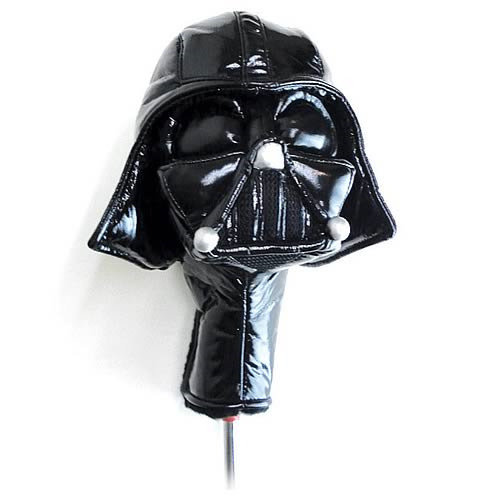 Betcha didn't know that Darth Vader is a big golf fan. But all that walking is kind of tough on a Sith Lord. So, he'd rather sit atop your golf bag and watch you play. This eye-catching hybrid club cover will intrigue friends and foursomes alike, making you a real hit on the fairway. And who knows? It certainly can't hurt to have a bona fide master of The Force watching over you as you putt!